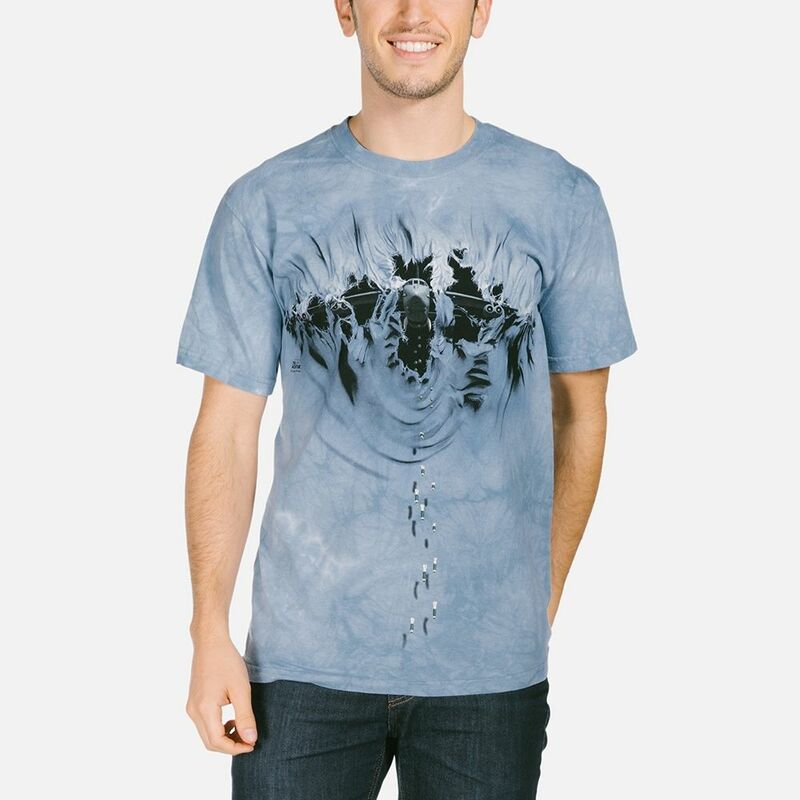 Aircraft Carrier Breakthrough t-shirt is an amazing adult t-shirt from The Mountain® featuring the artwork of UK artist David Penfound. 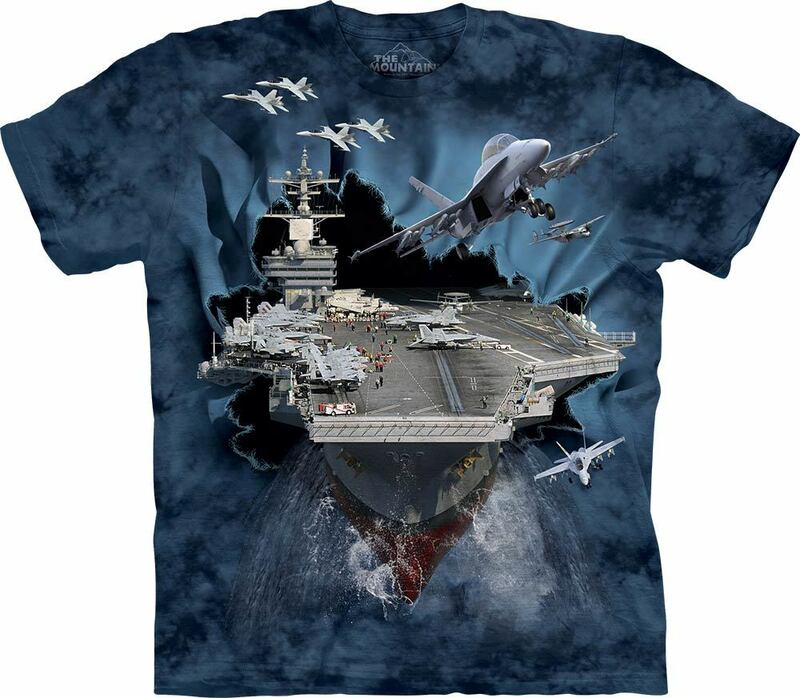 The design image is a military warship tearing through the shirt with planes taking off from the deck. 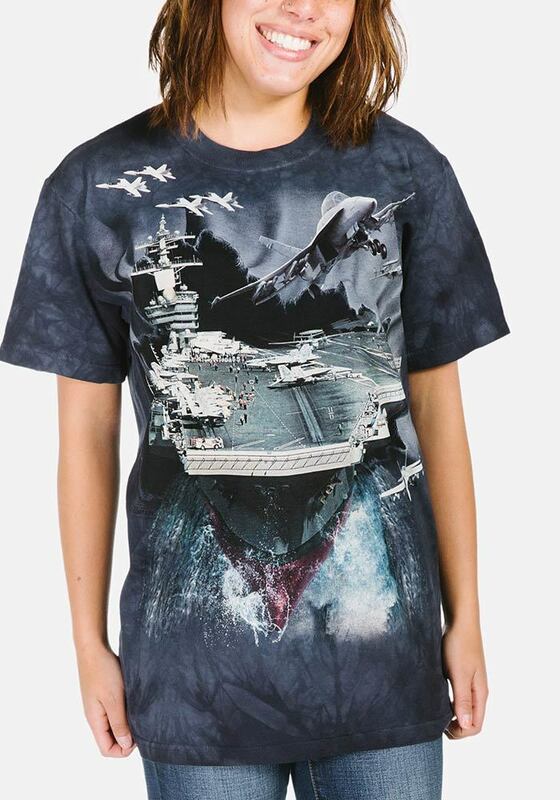 The artwork is so realistic it really looks like the ship and planes are tearing through the shirt.